If a loved one has passed away or very low we are available at anytime. We can be contacted on (02) 4951 1166 (24 hours, 365 days). When our offices are closed our phone number is diverted to one of our Funeral Directors who will be able to assist you. If you happen to hear a voice message this will mean the director may be talking to another family and they will call you back as soon as they can. Please leave a message especially if you have a blocked number. Located at 12 Harris Street, Wallsend. Located at 444 Pacific Highway, Belmont. Parking at rear on Henry Street. 984 Hunter Street, Newcastle West. In 1969 Allan and his twin brothers, David and Neil were carpenters and joiners. At that time they built and supplied coffins to Les Pitcairn, a funeral director at Rutherford. Les suggested the boys should commence their own funeral business as they were well known and respected in the Wallsend Community. The three brothers commenced their funeral business, building a chapel and office facilities on the land where their carpentry business was located. The company commenced trading as Crooks and Pettigrew Funeral Directors as a partnership was forged with William Crooks whose funeral business was located in Lambton. Neil and David both retired in 1996 with Allan retiring five years later. 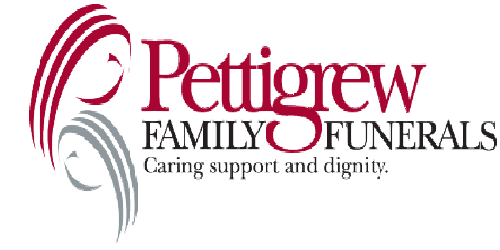 In 2000 the company had a name change to Pettigrew Family Funerals. Allan’s three children have contributed to the success of the business over the years. Growing the business significantly whilst keeping the enviable reputation of excellence and dedication to the tradition of service and care. Allan's son Ian took over the role of managing the funeral business in 1996 enabling Allan to retire in 2001 knowing the business was in good hands. Pettigrew Family Funerals are Novocastrians, proudly family owned and operated. Being a family business is important to us. We share a sense of family pride in how we serve our client families in an important time of need. "Our family serving yours for over 40 years"
Pettigrew Family Funerals provides opportunities for our staff to grow and develop, equipping them not only for their role within the company but also encouraging them to take on roles of community leadership and service. Our Newcastle family business has constantly demonstrated outstanding corporate citizenship through its support of local charities, church and community organisations, support groups and sponsorships. Ian is a visionary in the funeral industry. He has always put the needs of the families who require the services of Pettigrew Family Funerals first in all his decision making. Under his leadership and guidance the company has grown to be the largest funeral provider in the Newcastle and Lake Macquarie with facilities unrivalled in the state. Over the ensuing years Ian’s visions for Pettigrew Family Funerals have become reality. His vision was to set the standards in both service and facilities ensuring PFF would deliver the very best to the families in their time of need. Ian’s vision included Hunter Crematorium located at Tomago (2002), Memories Function Centre (2005), Newcastle West Chapel (2009), The Private Chapel and state of the art mortuary facility (2012) and the stunning new Belmont Chapel (2015). In 2004 Ian’s wife Leanne joined the family business in the role of Functions Manager at Memories Function Centre. While in this position Leanne lead a talented team to win the prestigious Restaurant and Caterers Award: Best Wedding Caterer at local, state and national levels. After a hectic period of growth Ian thought it would be best to appoint a dedicated receptionist at PFF and Leanne took on this role with a passion. In May 2014 Ian and Leanne Pettigrew purchased the family business and are dedicated in ensuring the next generation of Pettigrew’s will be worthy caretakers of the family legacy. Ian and Leanne are committed to the training their 3 children, Amy, Ryan and Joel in all aspects of the business. Sadly, Ian passed away on Saturday, 19 December 2015, aged 56. Although the business will miss Ian's great leadership, wisdom and guidance, the business is now in the capable hands of his wife, Leanne who is dedicated to keeping Ian's vision alive. Leanne's focus - the same as Ian's, is to ensure the needs of each family that needs the service of Pettigrew Family Funerals are at the forefront and priority of the business. Ian and Leanne had been dedicated to training their three children, Amy, Ryan and Joel in all aspects of the business. Joel is now the Managing Director, stepping into Ian's role. He is in charge of the future planning and the day-to-day running of the business. Amy heads up the marketing, advertising and design requirements of the business. She also has stepped into Ian's shoes, fulfilling his passion for the community and charities. She is on the committee for Relay For Life, Cancer Council NSW and on the Board of Director for Lifeline Hunter and Central Coast. Ryan is fulfilling the wishes of his dad, and is travelling and exploring the world in 2017.